If there is little information online about the ABR Core Exam, there is essentially none about the Certifying Exam. After several years, the only nuggets on the grapevine were that it was easy, nobody has ever failed, and you might as well do all your selected modules in the field of your fellowship. All of that is probably true. But just as diagnostic imaging for pulmonary embolism in the ER is always indicated, more information is always better, right? Before we go any further, this would be a good time to reiterate that I have no relationship with the ABR other than being board-certified (“a diplomate”). In fact, I’m pretty confident that anyone at ABR who recognizes my name isn’t a fan. This post is super long. It includes everything. 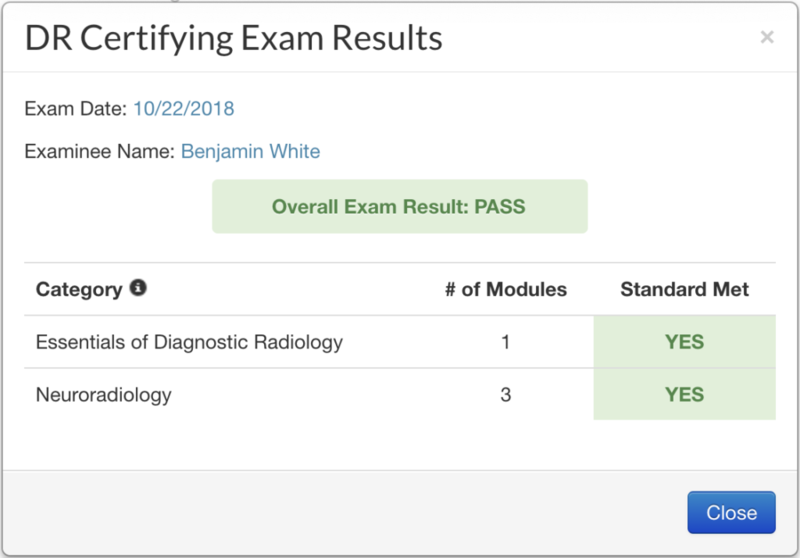 In order to make this (superfluous) exam relevant (or fair) to a large variety of practice settings, the ABR has broken the certifying examination into four modules. The other three modules are choose-your-own-adventure. While physics may show up at any time, there is no dedicated physics section. There are two difficulty levels: “fundamental” and “advanced.” Your first module in a chosen section is basic (“fundamental”) and additional modules are “advanced.” Therefore, a third module in your chosen subspecialty of study is no more challenging than the second. So if you’re going to pick two in your fellowship field, there’s no real downside to just picking three of the same selection. To reiterate, the third one is not harder than the second, and picking three prevents you from needlessly studying an additional subspecialty. For this reason, word on the street has been to choose all three in your fellowship. On the exam, the questions of all four modules are mixed together in random order, so it is not entirely possible for those with advanced sections to even know which questions are advanced and which are basic. It would appear, however, that MRI is considered “advanced” material in all fields. The complete list of options: general radiology, breast, cardiac, gastrointestinal, musculoskeletal, neuroradiology, nuclear, pediatric, thoracic, ultrasound, genitourinary, and vascular and interventional radiology. Note that “General radiology” is a possible section. The various choices will include some pediatric radiology and theoretically relevant components that make up the second portion of the Radioisotope Safety Exam (RISE). It’s worth noting that the RISE exam is the part that grants you Authorized User Eligibility and that the RISE exam itself is spread across both the Core and Certifying Exams, with the latter likely contributing a token amount. Presumably, those taking a nuc med section will have a lot of additional RISE while most people will have basically a few questions. Based on discussions with other examinees, I’m actually not sure the traditional triple-down advice is the best for everyone. I took three neuroradiology sections, and the consensus among us was that the neuro questions were quite challenging (though—spoiler alert—everyone passed, so I suppose how it feels doesn’t matter). And, on the flip side, the basic fundamental questions in some other fields may have been substantially easier pound for pound. Triple-down is probably still a solid choice for neuro, breast, IR etc. But at the least, a cardiac/chest fellow should probably choose at least one section in chest and cardiac. A body fellow would probably be well served with one each of GI and GU and US. I honestly have no idea how easy or hard picking “general radiology” is; I’ve never met anyone who picked it. In 2018, candidates received their “practice profile” selection email request on June 18 for an October 22 test date. This entails logging into your ABR account to agree to take the test, pick your three module selections, and add in the state and expiration date of your active medical license. Your initial module selections are non-binding and can be changed until registration closes closer to the exam date. You also have to be current on your dues. The ABR has its usual array of “study guides”, which as before are basically bullet lists of disease processes. After personal experience and tapping my network, I believe the Certifying Exam is equivalent to Step 3: a poorly implemented, unnecessary, and redundant fundraising endeavor. The test was designed for practicing radiologists who are too busy to study and it shows. It’s not really easy, and yet, anyone out there should just be able to more or less take it and pass. That said, I appreciate how difficult that is to believe. And, there’s at least an outside chance that your year will be the one that the ABR decides to changes its mysterious “criterions” on which scoring and passage are based. (Optional) Do some BoardVitals questions, probably those in your fellowship and maybe those in the Essentials section. (Optional) Hammer out some subspeciality specific review. If you’re doing all modules in your field, perhaps some variety of case review book. As usual, the ABR continues to update is NIS syllabus, which remains surprisingly readable and continues to get shorter over time. Previously covered material including research methodology and lite statistics is gone. The 2018 version clocks in at a completely reasonable 38 pages, though it is a little more densely packed than past iterations. As a fun Easter egg, the table of contents erroneously says the final section begins on page 48 due to an unusual typo (unusual since page numbers are typically generated automatically by most word processing software). As with the Core exam, you should really just rely on the official document. Basically, any derivative product (Crack the Core, online videos, etc) will be out of date because the guide changes every year. The official thing really isn’t that bad. There is a book called Radiology Simplified, which is used as the official textbook of a review course written and offered by two relatively recent graduates who were in the first class to take the new exam back in 2013. The book is available as an e-book on iTunes only, and they have generously and conveniently made the nuclear medicine RISE mini-section (~5 pages) the free sample. So, for the Certifying Exam, you can glance at the handful of relevant tables without actually buying the book (which costs $49.99). The amount of material they believe is relevant to the test amounts to the basics of dose limits, how to manage a spill, and NRC reporting guidelines. While that material isn’t exactly the “right” stuff based on my experience, what you’re likely to have on your exam is idiosyncratic enough that it’s about all I would do anyway. Anything more is—in my opinion–not worth it. Frankly, I think the ABR should treat RISE like they treat NIS and actually make a document that includes what they feel is pertinent. Unlike a lot of things, radiation safety is actually important, but the various materials one could use are so full of esoterica and microdetails that trying to study RISE specifically is comically inefficient. As a result, practicing radiologists often don’t know anything useful. I would argue this is a bad thing. The free study guide includes a handful of illustrative practice questions at the end of the extended bullet-point list. It’s a reward for the rare few who manage to scroll through it all. Again, like the real thing, the questions are organized into groups of varying combinations of what’s the finding, diagnosis/cause, underlying etiology/disease process, additional management-altering feature, next step/management. Some are giveaway easy. Some are clearly not “essentials” by any stretch. For once, the ABR’s party line that the test doesn’t require preparation is true. But that’s not because the essentials section only includes things that every practicing radiologist should know. There are a seemingly endless number of potential resources, several of which are repurposed from the Core Exam. Ultimately, no one needs any books. No one really needs anything except the strength of will not to walk out of the testing center, drink heavily that very morning, or eat particularly spicy food the night before. If you want to crank out a few questions to get in the right mindset, which isn’t unreasonable, the clear choice has become BoardVitals. 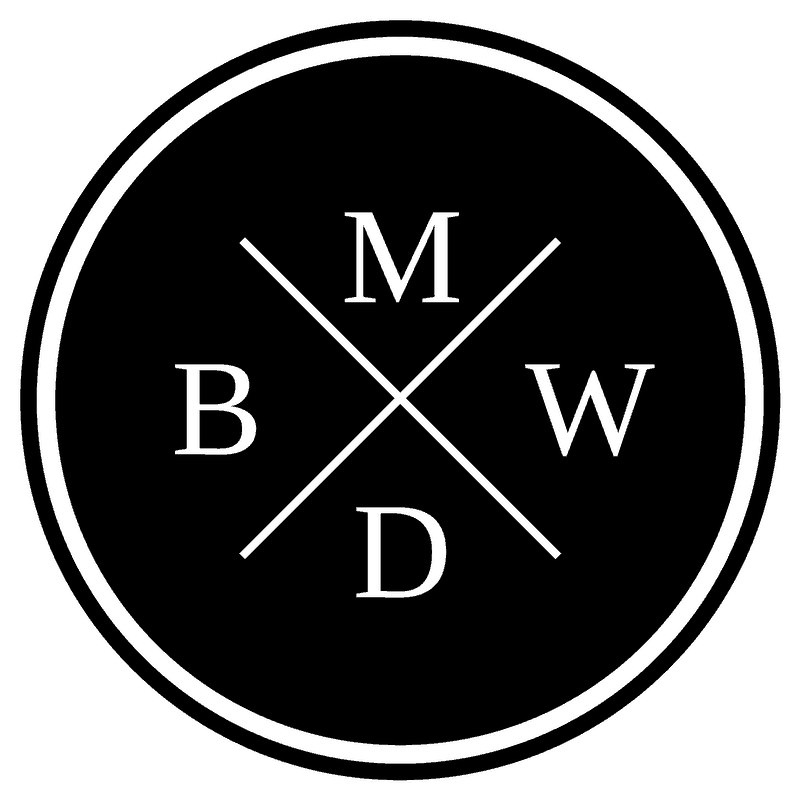 BoardVitals is a decent company that is the go-to for board exams across multiple specialties, and their product for radiology, while far from perfect, definitely hits a lot of highlights with minimal fuss, pretty good software, and an overall reasonable price. If you’re going to partake, just get the “cram” 1-month, which costs $139 (but which is 10% off with the code BW10). 1And yes, that was an affiliate link. If you don’t want me to earn anything, you can just use the code without clicking the link. Negative sides to BV are somewhat egregious repurposing of the same images for multiple questions, the annoying need to click “show explanation” manually on each question after answering in tutor mode, and some true duds (though for the latter, no more than the actual exam [burn!]). In in the initial draft of this post I had originally included “too many questions in the old ‘all true EXCEPT’ format,” but the Certifying exam STILL employs this antiquated technique. A lot (you’ve been warned). Fun fact, most educators don’t consider negatively-worded questions psychometrically valid. Radiology questions are fast. You can easily get through the questions in your chosen section in a few hours. The weekend before the exam is probably enough. Enough of the general radiology module is bread and butter that you probably don’t need to do anything for it. It’s worth reading the study guides for the modules you plan to take, as some (but not all) do contain some useful info and sometimes a few practice questions. For example, since I took three neuroradiology modules, it was helpful to know ahead of time that each module contains 60 scorable elements divided into 50% brain, 25% head & neck, and 25% spine. Thus, unsurprisingly, brain is most important. The thing takes about 5 hours. You have 4 hours for the test, 30 minutes for check-in, and 30 minutes of break time. Ballpark, I had around 275 questions grouped into around 220 items (reflecting a combination of linked questions sets and multi-question drop-down pick lists. If you finished the Core exam early, you’ll finish this early as well. Everything about the experience is identical to the Core Exam (except the staff now only intermittently monitor the bathroom instead of setting up a permanent camp in the corner in order to listen to several hundred people tinkle). I’ve now been to both Chicago and Tucson. The Chicago check-in experience, shuttle bus, etc add on an hour to the experience. Nursing accommodations are now excellent. In Chicago, they even had a fridge in the bag-check room so that you could store milk safely while taking the test. In order to make NIS suitably challenging, there were plenty of microdetails and needless convolution. The RISE questions were certainly present, contrary to some expectations I had heard, though to repeat myself, the material lends itself so perfectly to minutia that I remain unconvinced that it is worth spending any significant amount of time for dedicated study given the overall length of the exam. Like the Core exam, there is a preoccupation with rare Aunt Minnies and showing common pathology in bizarre and unusual ways while unnecessarily repeating the same diseases over and over again and yet simultaneously skipping broad swathes of real daily pathology. How is the ABR Certifying Exam Scored? Despite the four modules, the whole test is graded as one unit yielding either a passing or failing grade. No scoring thresholds and systems are published, though the ABR again states that grading is “criterion” and not “norm” based (i.e. not curved), and that while the passing score thresholds are set ahead of time, the percentage of passing test-takers is not. As in—like the Core—everyone could pass it if they weren’t stupid. The rumor has long been that the pass rate thus far has been 100%. While the ABR releases the passing rates for the Core Exam (around 90%), they have not for the Certifying Exam. The Certifying Exam average results are not yet available, however, please continue to check the website for updates. The board will determine when the average results will be posted. One argument for why they don’t publish the 100% (or near 100%) pass rates is that it would raise the question: why exactly is there a second “certifying” exam in the first place? With the Step exams, for example, one can at least argue that each test covers a different set of knowledge (basic sciences, clinical sciences, clinical management). Not so for the Core and Certifying exams. On a related note, “why is there a certifying exam?” remains an excellent question. They likely also worry that the “public” would feel that the ABR was giving radiologists a free pass to board certification by having such an easy exam and that publishing the results would force them to make the exam harder, fail more people, and thus anger more radiologists. The better solution is just to get rid of it or to go back in time and never create it in the first place. Additionally, why it is even remotely acceptable for an organization to hide the pass-rates and other such seemingly benign information from its diplomates is another matter entirely. The lack of transparency and accountability remains appalling. Even more oddly, the ability to “choose your own exam” can result in an exam amazingly similar to the CAQ exams. Now, the CAQ exam to become a CAQ-certified neuroradiologist, for example, long predates the Certifying exam, but there is no denying that at least one of them is redundant. Why does a neuroradiologist need to come back again in another year and spend even more money ($3270!! What?!?!) to take a test that is essentially the same minus the general radiology section? Because ~200 examinees spending $3270 means another ~$650k in fees (still not enough to cover the ABR presidential salary, by the way). I mean that seriously: the neuroradiology subspecialty exam is three sets of 60 questions taking 180 minutes. It’s literally just the three optional modules minus the “Essentials” section. The only difference is that you can “condition” a subsection, unlike the Certifying exam. Ugh. Price-gouging at its finest. (In fairness, it is presumably more analogous in difficulty to the three advanced modules instead of 1 basic and 2 advanced, but it would be fairer to offer the ability to hammer it out all at once, and I’m sure literally every other of the 200+ folks in my cohort feel the same way). After the Certifying Exam has been passed, the RISE exam will be scored based on the RISE content taken in both the Core and Certifying exams. This result will not have any impact on the pass result for the Certifying Exam itself. However, I did ask for clarification, and the ABR responded that the questions do count for the overall exam, just that—unlike Core physics—you don’t need to pass this component to pass the whole thing. That said, the relative fraction of this subsection is small enough that it’s unlikely to make or break your overall passing score. Presumably, your RISE passage mostly hinges on your Core Exam performance anyway, so if you don’t need to be an Authorized User, I can see the logic of not studying, as you can be board-certified regardless. The brief review discussed above might get you a question or two, so why not. In 2018, results were released on Tuesday, November 20: 4 weeks to the day. Unlike the Core exam, which provides both numbers and bar graphs that give the pretense of performance data, the Certifying exam gives a binary answer. Did you pass the modules you took, and are you an Authorized User (the latter is described in a separate certification letter/pdf). Everyone I’ve spoken to (dozens, not hundreds) has the same story to tell. It’s the same one that starts this essay. Despite how challenging the Certifying Exam may feel, it’s an exam designed to “psychometrically” validate whether you suffered a traumatic brain injury in the two years since you passed the Core exam. It probably doesn’t matter how or what you pick. This is a bit of an off topic rant but I was a bit upset about how they have treated board certified docs recently. I took the recertification cognitive expertise exam in 2012 and was at that point given a 10 yr certificate so that I didn’t have to do it till 2022. However starting next year the ABR has instituted what is called the online longitudinal assessment (OLA) which basically require weekly quizzes for the entire year. Rather than exempt those who paid good money and took time off work to travel to Chicago to take the exam, the ABR has invalidated that 10 yr certification. I’ve heard of a few radiologist that took the exam only to have it invalidated after less than a year. That’s how they keep growing that $50 million war chest they’re sitting on for lord knows what.